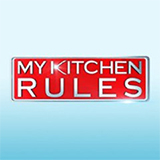 The Mentor is a TV show on Australian national television from Seven with an average rating of 3.5 stars by TVCatchUpAustralia.com's visitors. 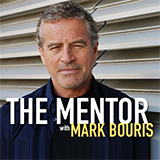 We have 8 episodes of The Mentor in our archive. The first episode of The Mentor was broadcast in June, 2018. Did you miss an episode of The Mentor but don't you wan't that to happen in the future? Please set an alarm and add The Mentor to your favourites, so we can remind you by email when there's a new episode available to watch. Completely free: handy! Connie only has 6 customers at her startup company, feeding primary school students. Mark tests this new start-up to see if it can really change the way our kids eat at school or is it a money pit? Eight years after starting her business and now with a baby, Eva dreams of taking her store to the next level. Mark has five days to teach Eva the basics of business and help her plan for the future. Mark Bouris discovers Jeoff's perfectionism drives him to micro manage staff at his high-end salon business. Mark has five days to convince Jeoff that making a mistake isn't the end of the world. Mark goes toe to toe with Melbourne pizza make Michael in the boxing ring, for a lesson he won't forget. Michael's business is losing customers, and Mark believes it's because of his anger issues. Two sisters venture into a new bakery business that specialises in gluten free loaves. The products are selling, but they can?t keep up with the demand. Mark only has five days to save the business. In rural Victoria, a family business is on the brink of shutting up shop and tearing the family apart. Mark discovers the truth behind the infighting and has five days to save the business. Florist Kim operates a shop in Cronulla, and struggles to juggle it with motherhood. Kim can identify some problems with her business, but needs Mark's expertise to turn her fortunes around.